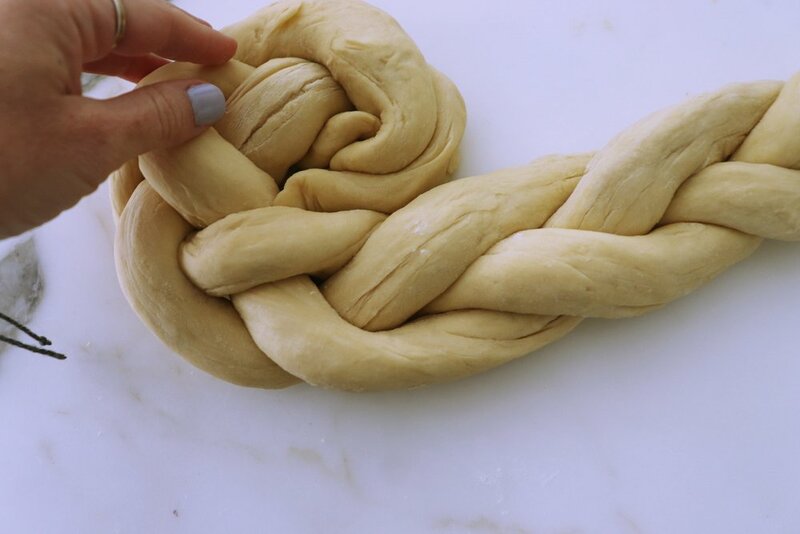 Then, cut dough into 3 even pieces. Roll out the pieces until they are about two feet long. 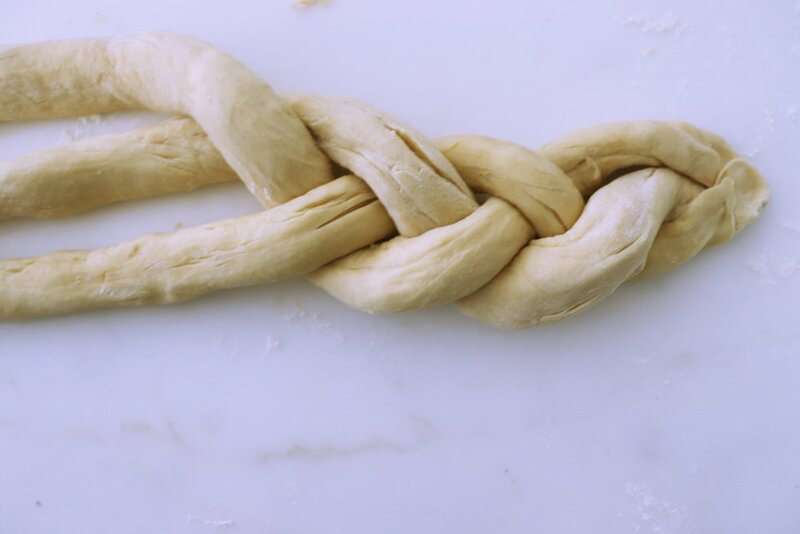 Then braid them together. 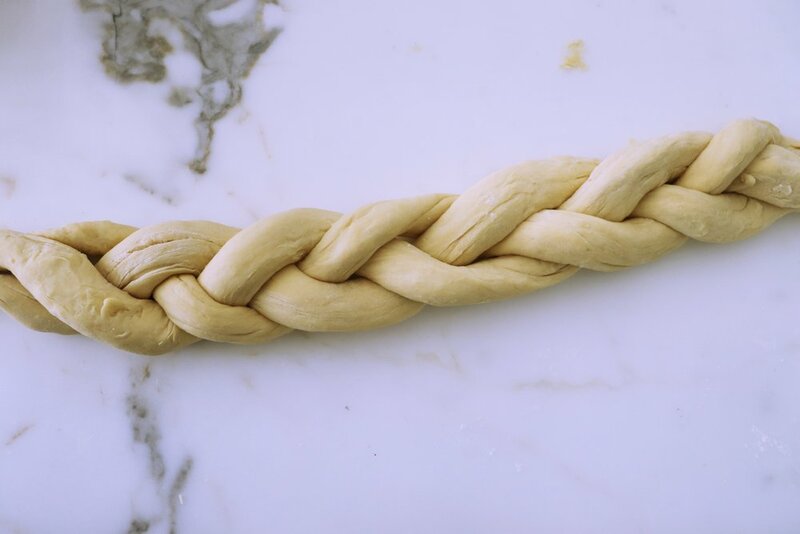 Twirl the braid into a circle and place on a greased baking sheet. Hide the Cadbury chocolate eggs within the dough. It is so much fun pulling pieces of the bread and getting a bite with the chocolate! Then cover and let sit for another hour at room temp. before baking. Preheat oven to 350 degrees. 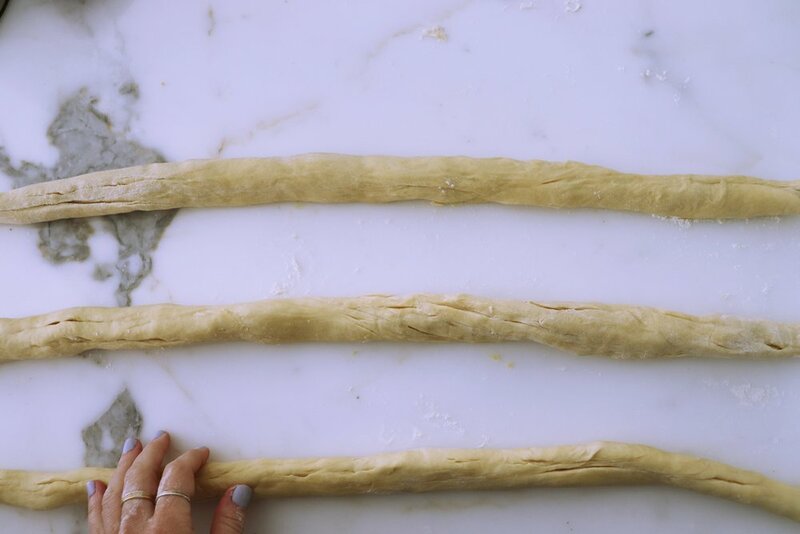 While the dough is rising, preheat the oven to 350º. Bake the cake until it is golden brown, 20–35 minutes. Remove from oven and let cool 10 minutes on baking sheet and then place it on a cooling rack to cool completely. Once the bread has cooled finish placing the rest of your chocolate eggs on the top of your basket. Take your large bowl or basket and line it with the edible sugar grass. Carefully place the bread in the center and its ready to serve!